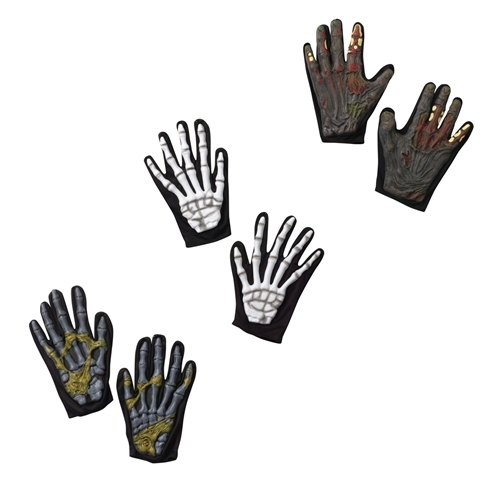 Character Gloves. Made of latex. Available in Burned, Devil, Mummy, Skeleton, and Skeleton with Jewelry.